You may receive a full refund or full credit towards the rescheduled class or another class. Unexpected family emergencies (deaths, births, illness, etc.) are the only reasons to cancel a course without penalty. Each case will be viewed on a case by case basis. IDS, llc staff reserves the right to refuse service and to remove people from the class due to poor attitude or a lack of courtesy to fellow students. IDS, llc feels strongly in a safe, friendly and fun learning environment for everyone. *If you do not pass the live fire for the instructor course and request a refund in lieu of letting us help/mentor you to where you need to be , then a $75 charge will be deducted from your refund amount. *If you do not show up for or can not make the shooting portion of a 2 part class (I.E. 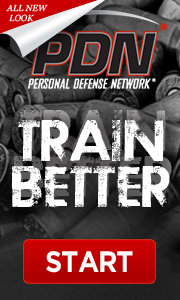 NRA First Steps Pistol Course) and you request that we schedule a specific time for you to shoot outside of the normal course hours then you are subject to a $75 fee, unless you come to the 2nd part at the next offered course. If you have any questions about these policies, please contact Evan.